Here, have some silly little doodles. The best part about this is that on the Muppets side, it is canon. Most of these started off with a little template–usually a bald figure or two drawn in light gray, to be drawn over–except Archimedes. I doodled that one in response to a “draw a bird!” prompt. 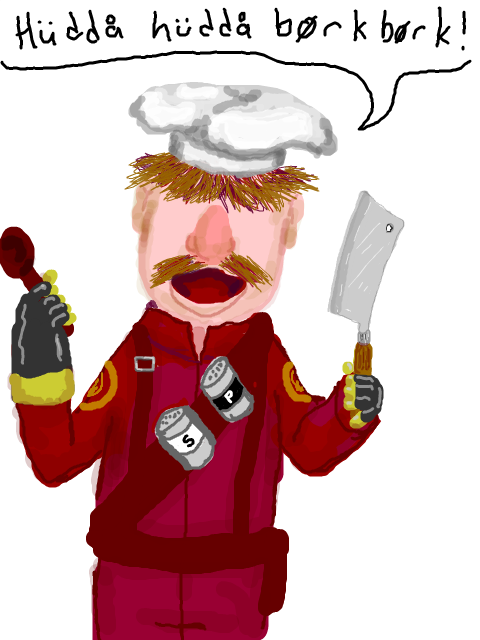 Posted by Sarah on March 15, 2012 in Art and tagged archimedes, doodles, heavy, it's filthy in there!, medic, muppets, pyro, scout, scout's mom, soldier, spy, swedish chef, tf2.